Im back from London , and I won't go into details now. But , the new SD Roses collection was released today , about half an hour ago for me.. The collection was made up of twelve looks , and these three were my favorites. The designer evermore1girl was the only graphics designer , so that would be extra difficult! First of all , thank you if you bother to read this but. I'm going to London for a two-day trip so I won't be online. I know I haven't posted today , but to be honest Im sick of seeing this posting template thingy! That's right. I'm taking a break from stardoll. I think it's for the best. I mean, I feel like I've been logging in on stardoll because I had to and not because I wanted to. I prefere to leave and then come back feeling good and excited about stardoll news and stuff like that insted of being here just 'cause. I don't know when I will come back. 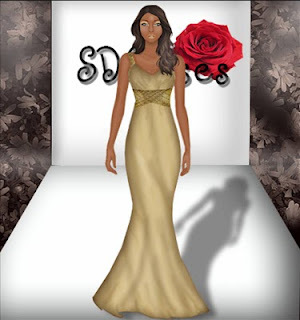 The last time I took a break from stardoll it only lasted a week! And on the third day I was dying to log in (LOL)! And that is the feeling I don't have anymore. Well this is a slight surprise! The mind behind ElitesExposed is going into the fashion business. These designs look really nice,and I will be buying one of them believe me! I think the coats are only 16SD , and the scarves are around 8SD I think. But there is only two scarves and a coat as Im writing this,so go grab 'em fast! A short dress is a DON'T for people with a bottom heavy shape, this makes them look bigger. She never fails to impress me with her endless fashion sense and bottomless Stardoll wardrobe! While she focuses on her Doll's outfit,the make-up obviously plays a big part too. Her doll's make-up right now is very simple but it looks really good! Me: Heya Nicole!How are you? Nicole : Im good,and you Lisa? Me: I'm fine.Can I ask,how long does it take for you to find ideas for your Doll? Nicole: I am constantly getting inspiration from various editorials and photo shoots for my medoll. 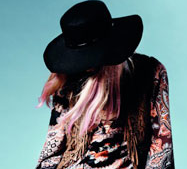 For example, my current look is hugely inspired by Topshop's dyed colorful highlights. Me: Yes,and our readers can view that look above me.From make-up to clothes,do you think simplicity is one of the best ways to go? Nicole: It really depends on what your going for. Nicole: Sometimes those very complicated outfits can be really chic, and sometimes all it takes is a simple dress and pumps to rock a fashionable outfit. Me: Couldn't agree more.What encouraged you to start Forever Chic Magazine? Nicole: It was really just a way to practice my graphics at first.But later,I became serious about it.The feeling of getting compliments in my guestbook,on chat , and in my inbox for something that I word hard for,is very fulfilling . I also think I learned a lot of skills by owning and managing a magazine , especially business skills such as how to promote your magazine and how to make it something that a lot of people are going to read. Me: You certainly got that right then!Lastly,is there any message you want to give our readers? Nicole: If there is something you want to do,just do it!I did my magazine,didn't I? To view FCM click HERE . Some of you may be puzzled when it comes to fashion. Some may understand fashion,but don't know what to do with their outfits. You have to make the choice,is your outfit just gonna be so you like it or will everyone like it. I do realize that fashion is a form of self expression,so you can follow these tips to clear out your virtual warddrobe and real one. 1. Strip your wardrobe!Pull out everything or do it section by section. Anything you KNOW you will never wear again,make a pile and toss that over there. If there is something your not sure about make a new pile and you can get back to that at the end! 2. If there is something you LOVE but have not worn it in ages,slip it on and if it turns out you dont like it on you,toss it. If its too small , toss it or if your really creative make a fabric belt or scarf or even a wrap out of a dress! Also,if something you love but your not sure if it still fits you and you cant make an on-the-spot decision throw it to the 'I Don't Know' pile! 3. Look through the different things , there should be one divisor in your wardrobe and that is Winter and Summer. If its Summer and there is winter things that fit JUST right and I mean JUST fits,toss it. 4. 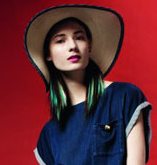 Get up to date with the trends!I mean right now,for Sprin/Summer so far,I've hard is denim,stripes,neons and pastels. But look at the latest fashion shows. You dont need to look at everything but some would help. On Stardoll,to clear out your wardrobe try putting the 'No's' in your storage so its like it was never even there! 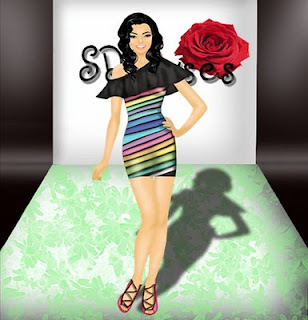 Get up to date with new trends in StarPlaza,by using your five SD a day.Its a good way to build up your virtual wardrobe,also try buying versatile pieces. I know I have been absent,and the blog is being very inactive and I apologize for that. Somw of you might have already grasped why I thought of this title! Before I explain,this party (I assume) will be a big success!I personally think there should be more of these parties around Dollywood,other than magazine,fashion line,blog releases! SO,the meaning of this title is the dress code! 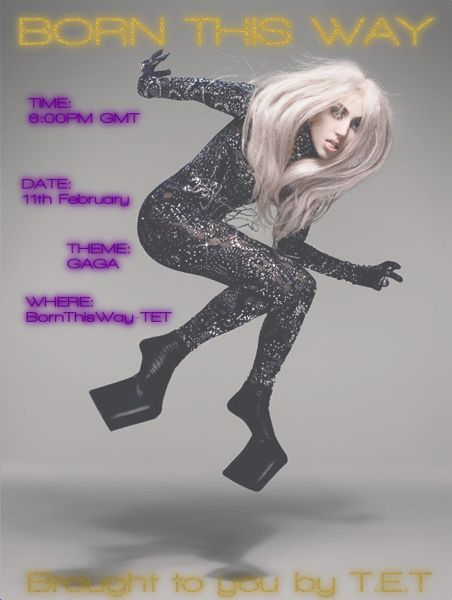 The dress code is GaGa,so to me that does not mean imitating Lady GaGa or copying an outfit of hers,to me that means 'Be Original' , 'Take Risks With Fashion' , 'Be Unique' , 'Be A Trendsetter ' . Those four sentences are describing GaGa's fashion,to me anyway. So I will try my best , Eamonn , will everyone else?? Long time no see! Unfortunately, due to school, I haven't been able to log on as much as I used to. I even had classes to give! And, this post isn't a full "comeback", I just feel bad because I haven't been paying more attention to the blog. But I will try to write tons of posts on vacation. So, everyone knows about the amazing movie Black Swan, right? I have to admite I haven't seen the movie yet. But I will! They look amazing! You can see Star_Awards wearing one UndamyUmbrellla's latest designs. And blugreen86's famouse DYI outfits. All of the outfits looks like they came out of the movie, but you can also spot every girls personal touch. That thing you see and say: "you can see she made this". That is something not many pepole can do. 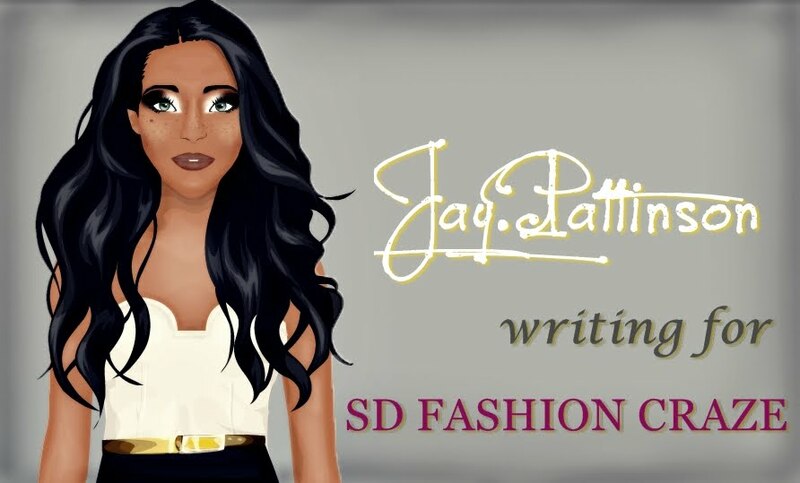 That is why they are such style icons on stardoll.